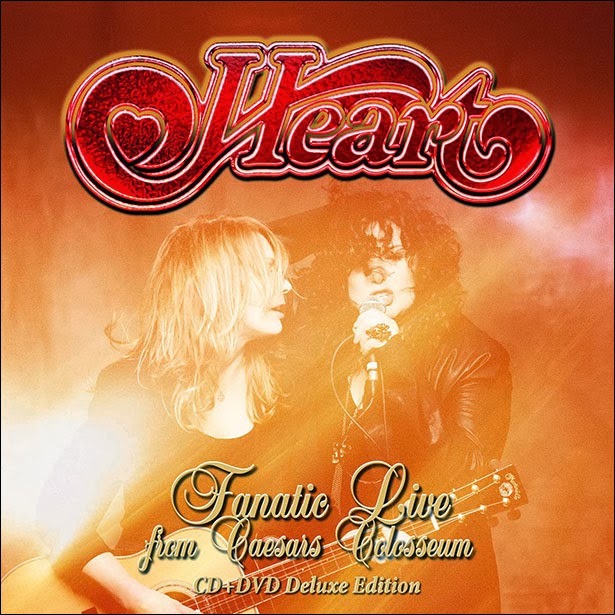 Frontiers Records is pleased to announce the release of Heart’s concert “FANATIC LIVE FROM CAESARS COLOSSEUM” on CD+DVD Deluxe Edition, DVD and Blu-ray in the UK on Monday 24th February 2014. The history behind this recording began in 2012, which was a year of major achievements for Heart. In addition to Ann and Nancy’s star on the Hollywood Walk of Fame and news that they had been inducted into the Rock & Roll Hall of Fame, the year was filed with musical accomplishments. Wilson combed their archives for a definitive four CD box set release in the early part of the year, and in the fall of 2012, released their “Fanatic” album to strong critical and fan acclaim. To support the release of “Fanatic,” the band embarked upon a major North American headline tour, which ended with a magnificent performance at Caesars Colosseum in Windsor, Ontario, which was filmed by AXS-TV. 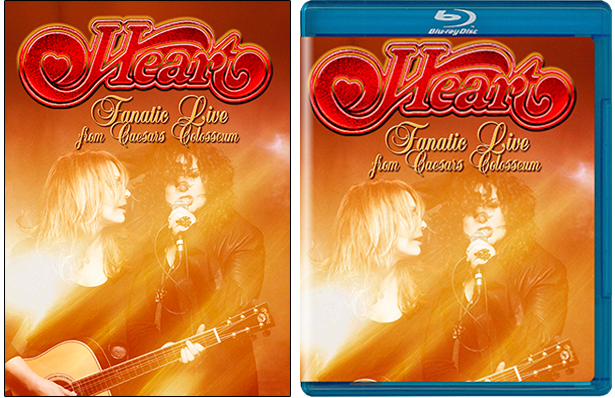 Heart will be performing shows in North America in February, March and April, 2014 as a continuation of the “Fanatic” tour. Heart has long been associated with Canada having broken out in Vancouver in 1976 with the release of “Dreamboat Annie” and their return to Canada for the “Fanatic” tour was greeted with the kind of enthusiasm the Canadians save for their own. Ben Mink, who produced the “Fanatic” CD and is another great musical Canadian musician, joined Ann and Nancy on stage at Windsor, playing fiddle and leading a string ensemble. In addition to songs from the “Fanatic” album which were performed for the first time for the television viewing audience, “Fanatic Live From Caesars Colosseum” also showcases many of Heart’s classic hits including “Barracuda,” “Crazy on You,” “These Dreams,” “Alone,” “What About Love,” and many more. 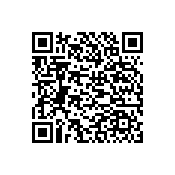 A digital download is available via iTunes and includes an instant download of a new rendition of the Heart classic “Dog And Butterfly”. 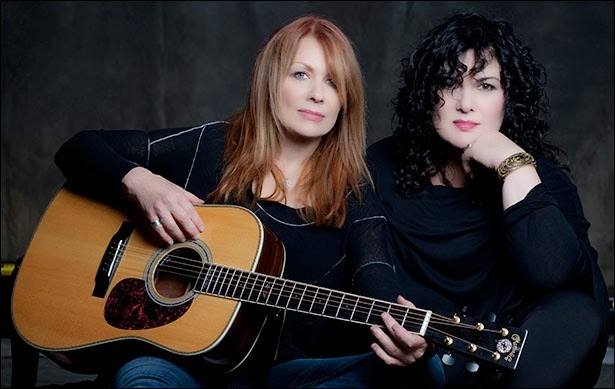 Over the group’s four-decade history, Heart had different line-ups, with the constant centre of the group since 1974 being sisters lead singer Ann Wilson and guitarist Nancy Wilson. To date, Heart has sold over 30 million records worldwide, including over 22 million in album sales in the U.S. The group was ranked number 57 on VH1’s “100 Greatest Artists of Hard Rock”. With Top 10 albums on the Billboard Album Chart in the 1970s, 1980s, 1990s, and 2010s, Heart is among the most commercially enduring bands in rock.